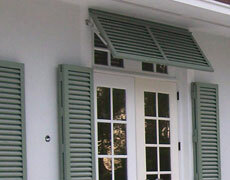 Our Fiberglass Board-N-Batten Shutters are excellent alternatives to wood shutters. These shutters are crafted in pulltruded fiberglass and high-density PVC materials. They are lightweight and ultra-durable, yet they add a traditional look and feel to windows. Our Fiberglass Board-N-Batten Shutters resist warping, cracking, rotting and insects. We offer our shutters in rich, vibrant colors; each finished in a two-part acrylic urethane finish that will not peel or fade with time. 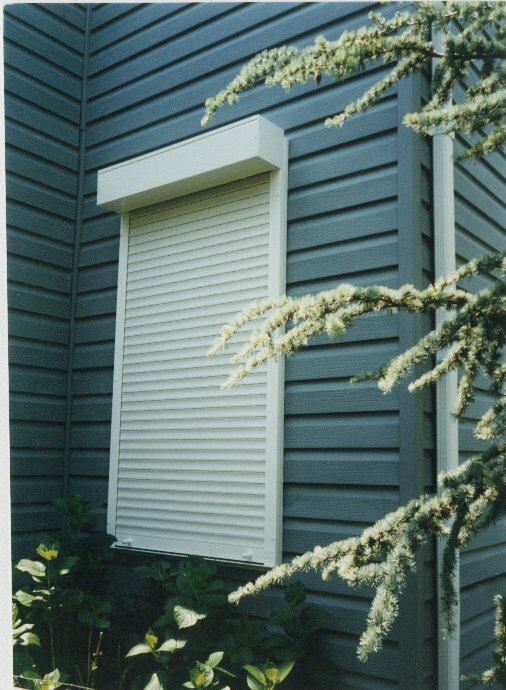 The Roll-Up/Down Hurricane Shutter is a type of shutter that rolls up or down over the opening. 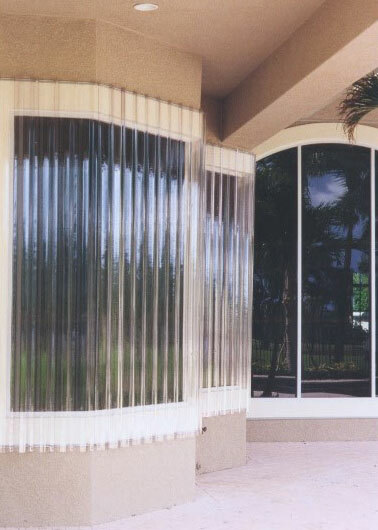 Roll-up shutters offer substantial protection against flying debris and hurricane force winds. An added benefit is security against theft and forced entry. They are also energy efficient, great for noise reduction and provide privacy. 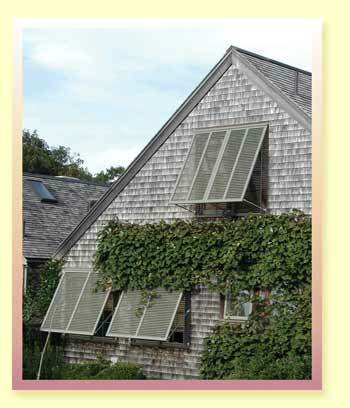 Roll-up shutters are operated manually by handcrank; motorized options are available in a switch or remote control. The roll shutter aluminum slats which make up the shutter are guided via tracks. These tracks guide the shutter and secure the slats and the upper housing. The Accordion Hurricane Shutter is a very strong and durable shutter that moves horizontally between an upper and lower track. Interlocking aluminum blades make up the protective wall of the shutter. The accordion shutter glides along on tracks and a wheel assembly which provides easy free gliding movements. 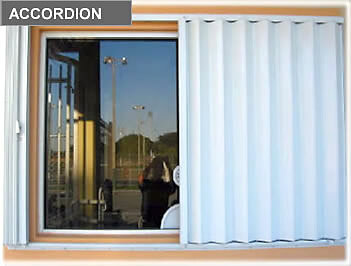 The accordion shutter can open or close as one unit, move from left to right or right to left. For larger areas it can have a center opening, so that half the shutter moves toward the right and the other half towards the left. The blades of the accordion stack out of view at the ends of the track. Colonial Hurricane Shutters are manufactured to fit each opening perfectly, using a multiple fold system that opens out to close larger openings. Constructed with solid aluminum backing and painted with a powdercoating system that will make the colonials resistant to the elements, the colonial shutter systems Category 5 installs are the best available.